High visibility is always being a concern of every entrepreneur coming to us and for them we have come with gantry advertising, whose effectiveness has helped us gain unmatched recognition as best outdoor advertising company in Ahmedabad. This Gantries used in the advertising is simply a double sided structure built on heavy traffic roads with the number of lanes to captivate highest number of audience passing through the roads and hence is also famous as the overhead gantry advertising in Ahmedabad. The double side structure of gantries entitles consumers to select the likable side as per their need to target the desired audience and yield highest on the investment. These Gantries advertising in Ahmedabad gaining high acceptance among the consumers due to its favorable results and high return on investment. The size of the gantries is too large, whereas the premium location adds more value to thereof, which both we proffer when you avail our Advertisements on Gantries Service in Ahmedabad. Other than, the high-quality printings with the alluring hue of the colors carried off by our team is the upper hand of our outdoor advertising that’s definitely going to visualize interesting and attractive and hence help receive the significant attention of every consumer pass through. Further, we embrace the broadest portfolio of the prime locations that give you an advantage of the quick splash in the market by reaching to the grass root level consumers in just a short span. Take your brand to the new level of fame by our Gantries advertisement in Ahmedabad at cost-effective rates by contacting our support team today. 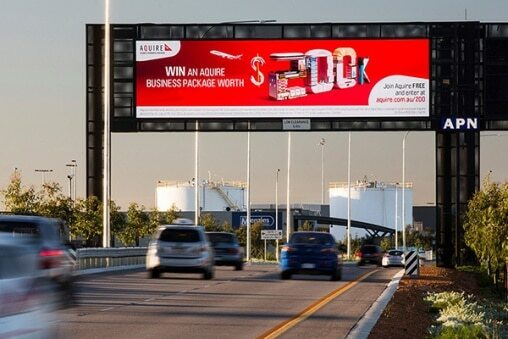 The considerably large size of the gantries is the needless reason for its easily noticeable power, gives your brand highest consumers at low investment making your advertise visible even from the stretched distance. Again the huge structure plays a core role while its matter of high impact that lasts for the longest time in the consumer’s mind. Consumers can exhibits detailed information of brand to make the brand more convincing, thanks to wide size of the gantries. Traffic is increasing day by day on highways; give you an advantage of grabbing the highest consumers through the overhead gantries and lucrative too.